It is as if your new computer got possessed by the spirit of your old one. It takes forever to boot up and continue to run something in the background, slowing everything else down. It’s no wonder many has given up on computer and migrated over to tablets. They don’t give you any of such problems. Up til now, I’m still surviving well with the 1st and 2nd generation iPad. But try using tablets to do a project or to generate a report. The pressing-and-holding, pinching and sliding is enough to give your fingers a crossfit workout. And that’s just to format the excel sheet. Like it or not, a computer is still the easiest way to get things done. I tried blogging on my iPad. The speed and efficiency just isn’t there. Tablets are meant for more leisure stuffs like watching a video or web browsing, not to create a pivot table. Many people I know will simply replace their computer when it starts to “degenerate”. Even though they are very affordable now, it is much cheaper to try to fix it up. In fact, I’m going to share with you free tools that will help you do all that even if you are a complete novice to computer. With computers almost becoming a commodity these days, computer makers need to look at other ways to make money. One of it is to partner with software companies to preinstall their programs before they ship the computer to you. These programs (or better known as bloatware) requires considerable disk space and RAM to install and run. Say you have 4GB of RAM and all your running programs are using 2GB. That’s okay. But with new version of programs coming out with more fancy graphics and features, they are going to use more RAM than before. When that 4GB is insufficient, your computer will use your hard disk storage as virtual RAM. 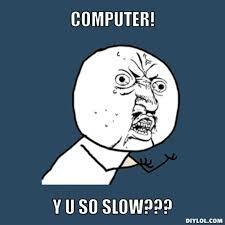 While that will work, it will slow things down tremendously because hard disk processes much slower than RAM. So even if those programs are not bothering you right now, it is best you get rid of them. The manual way is to uninstall them one by one. 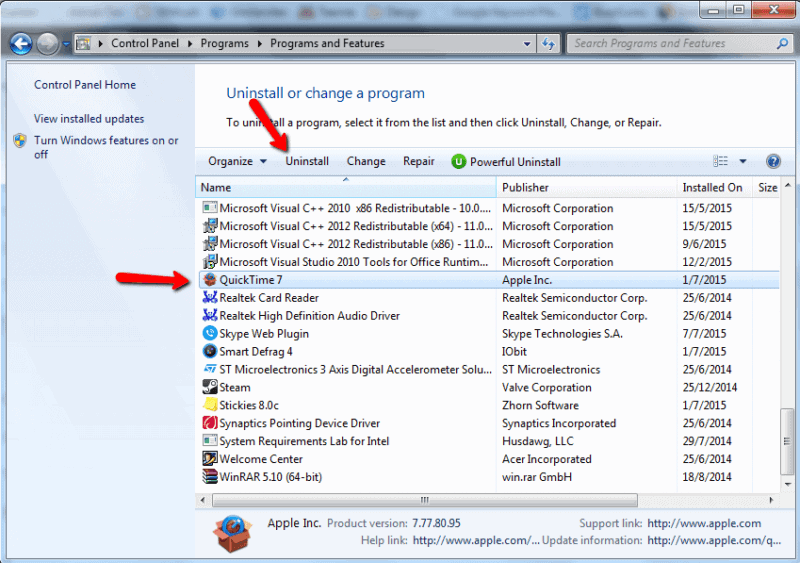 Just go to Control Panel | Uninstall a Program and select the programs you are not using and click on the Uninstall button. You would have notice the Powerful Uninstall option to the right. This isn’t default. I use it to uninstall all my unwanted programs. A typical uninstallation tend to leave behind a lot of bread crumbs. The empty folders, the registry entries (more on that later) and other stuffs. Iobit Uninstaller (free) scans your hard disk for traces of these and help you get rid of them so take up space and slow down your computer. There is also the automated way to rid of these bloatwares by using Decrap (free). It allows you to easily and safely remove all of the bloatware that comes pre-installed by the manufacturer on a new Windows PC. In addition to taking up space when programs are installed, there will also be entries made into the registry. According to Microsoft, the registry is a database in Windows that contains important information about system hardware, installed programs and settings, and profiles of each of the user accounts on your computer. Windows continually refers to the information in the registry. Imagine this to be your operating manual that you just have to refer to every single time so things are done properly and consistently. Sometimes programs that are uninstalled leave behind bread crumbs in the registry. So your computer still have to go through that set of procedures even though it is completely unnecessary, taking up a bit more time. 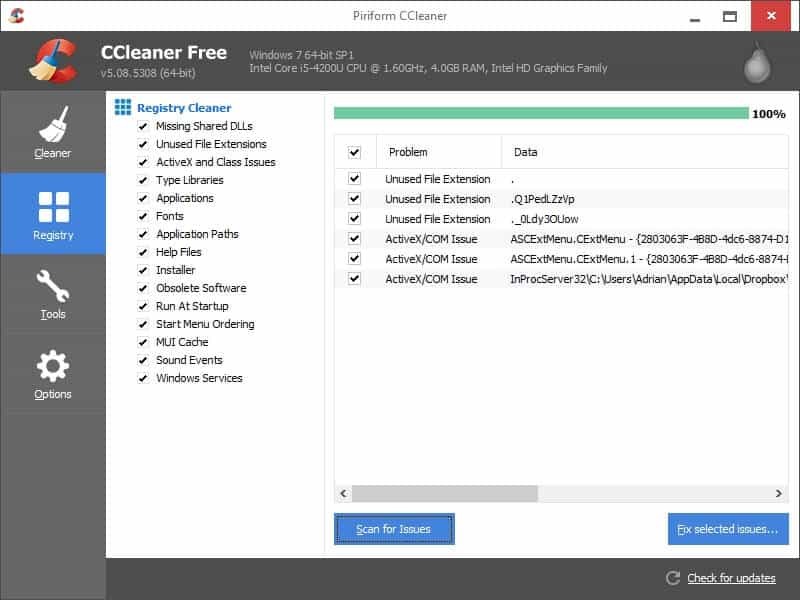 There are many registry cleaner in the market but I would personally recommend using CCleaner (free). It is much lighter than the rest and lab tests has shown it provide the best performance. Because of the complex relationship between hardware vendors (video cards, USB ports, etc) and the computer makers, the onus of updating the drivers for the hardware can get ambiguous. So you can’t get the latest drivers from Windows Update because that is the Operating System. You need to visit the computer makers website or the hardware vendors website to download them. And sometime it doesn’t work. I tried downloading a new video card driver from Intel but Acer doesn’t allow me to install it and insist I download their version from Acer’s website. That is just for ONE driver. As a user, you shouldn’t be bothered by this. 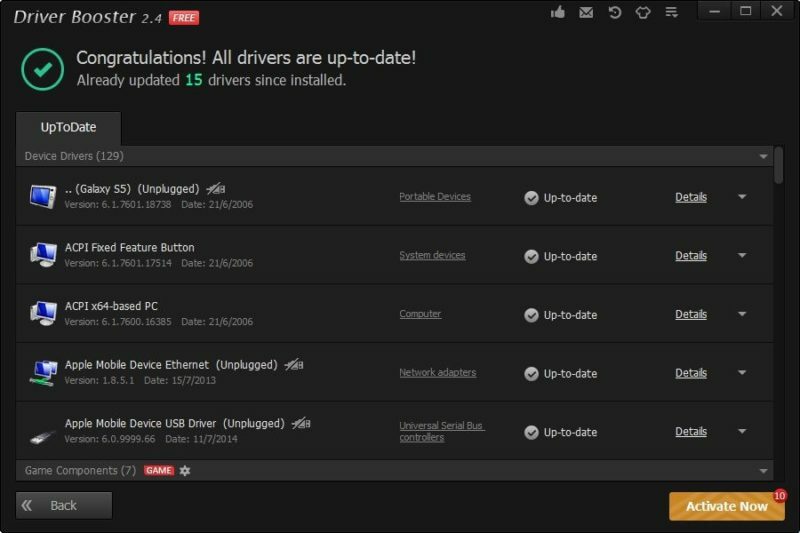 I use Driver Booster 2 (free) to automatically scan my computer for outdated drivers and make sure they are up to date. Antivirus softwares can really be resource intensive, especially those that are preinstalled with your new computer. They usually go overboard with their scanning processes which slows everything down to a halt. Yes the extra security is good but for me, I don’t open random files that are sent to me and will not install freebies unnecessarily. 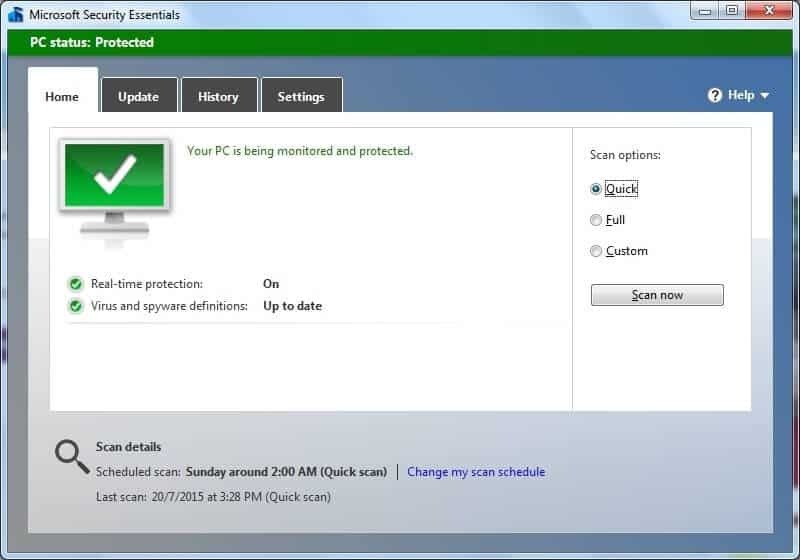 So I would usually replace the existing antivirus program with Microsoft Security Essentials (free). This is Microsoft very own antivirus software. Although av comparative tests would show that many others are much more capable and effective than Microsoft Security Essentials, my focus is on speed so it is good enough. Your hard disk is just like a shelf at the library. It starts off neat and tidy but as you take out and put books backs, it is going to get messed up. To tidy it up, you need to run a default program Disk Defragmentor. But it require you to initiate it. 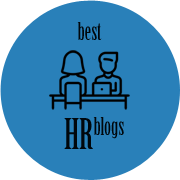 Although you can create a schedule to let it run automatically, it probably would bog down your resources when you most need it. 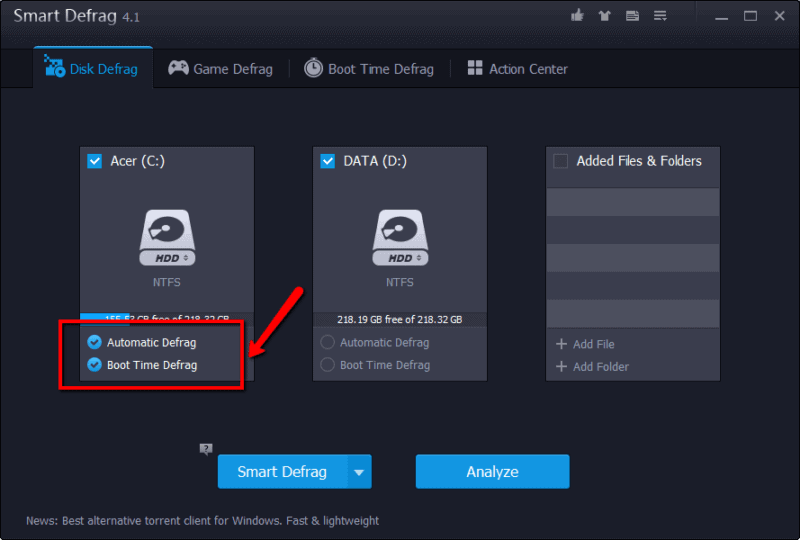 Iobit Smart Defrag 4 (free). It is one of those install-and-forget programs. You just have to make sure Automatic Defrag and Boot Time Defrag are turned on. This last one is something I discovered not so long ago. 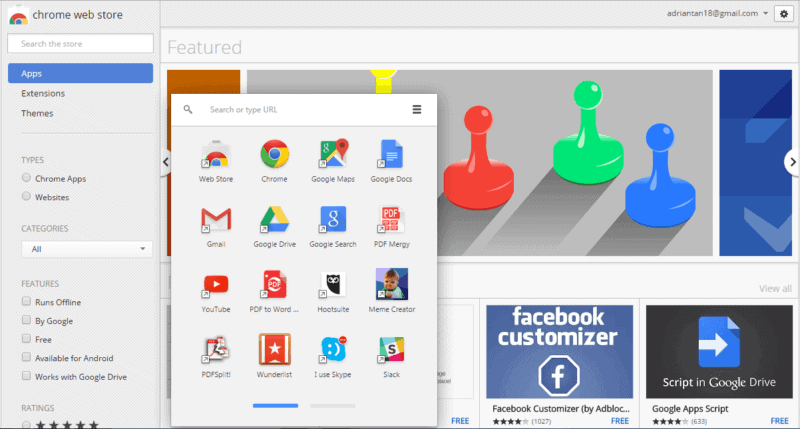 I’m using Google Chrome as my browser and it has a web store that allows you to install extension and plugins. You can see from my extensions menu that I have Wunderlist, Skype and Slack extension installed. Before this, these three programs were utilized via dedicated installed programs which can take up quite a bit of resources. It still does within Chrome but it is much lighter and I do not see that much loading activities. Subscribe To Our Newsletter and Get My Bonus Trick To Turn Your Slow Computer Into A Speed Demon. Just enter your email address. You can also look forward to receiving fresh tips and tricks from me once a week. 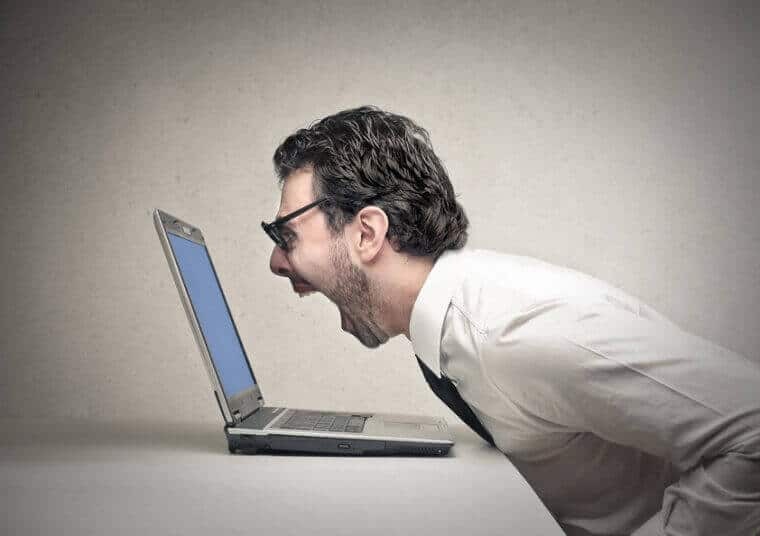 Fixing your slow computer does not have to take a specially trained technician. It is something you can do yourself if you know the right tools to use.